Welcome to Baden-Baden’s municipal recreational forest and to the North/Central Black Forest area of outstanding beauty (“Naturpark Schwarzwald Mitte/Nord”). One of the obvious routes from Scherrhof is up to the summit of Badener Höhe, which takes you inside the Black Forest National Park. At 1003 m above sea level, Badener Höhe is the highest point within Baden-Baden’s boundaries. From the tower at the top, the Friedrichsturm, you have a spectacular 360o panorama over almost the entire Black Forest and beyond to the Swabian Jura. On very clear days, you can sometimes see the Alps in the distance. You’ll often get a view of the complete western flank of the Rhine Valley, from Grand Ballon, the highest peak in the Vosges Mountains, in the south, to Kalmit, the highest mountain in the Palatinate Forest, in the north. Even the distant hills of the Odenwald forest faraway in the north are visible. Along the routes, you’ll come across a variety of forest types. One example are the old mixed upland forests with spruce, beech and fir trees and large stands of bilberries. But along the paths walkers will also notice large areas with new tree growth. These are areas that fell victim to Storm Lothar in 1999 and where a new generation of trees is now growing. In the areas around Immenstein and Betende Hände (memorial plaque) this process is particularly evident. 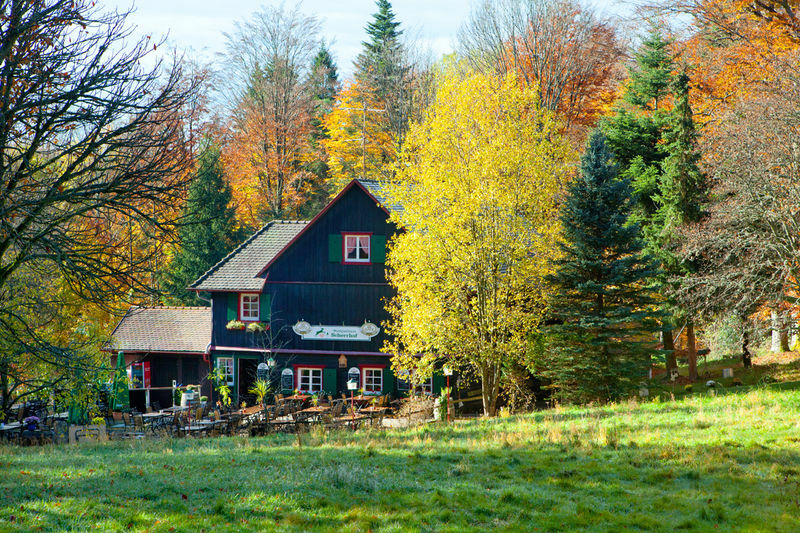 One of the highlights here are the areas of forest belonging to the central zone of the National Park which you cross on your way to and from Badener Höhe. An area of total wilderness is being allowed to develop here with forest management having been completely stopped, and although the process is only in its early stages, the forest has already gained in variety and character with dead and fallen trees much in evidence. 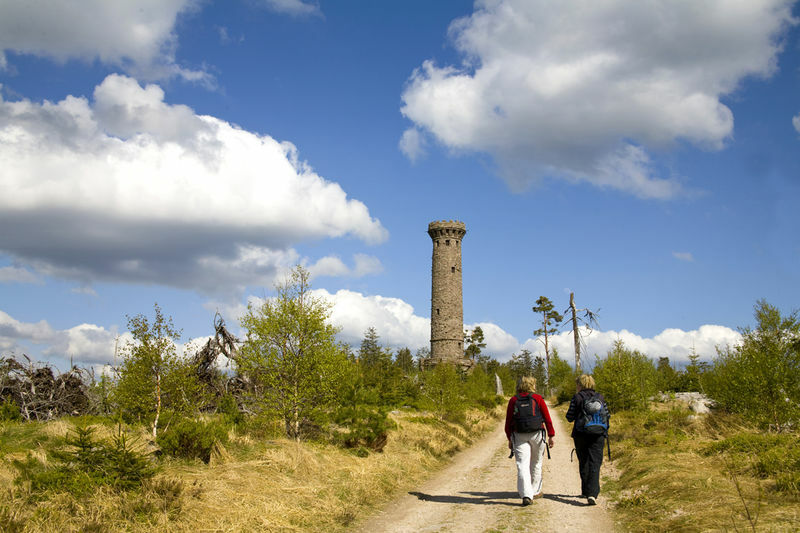 Steinberg-Rundweg, circular route: 4 km, total ascent 60 m: an easy walk on mainly level ground. Up Badener Höhe mountain: 13km, total ascent 330 m: mainly on wide, easy-under-foot forest tracks to Baden-Baden’s highest point and inside the Black Forest National Park. Route to Rote Lache (pass, restaurant) and to Betende Hände memorial plaque: 9 km, total ascent 260 m, a peaceful route.